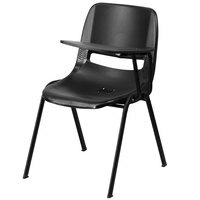 Each student desk chair boasts an ideal seat-to-back angle for maximum comfort and support, which is beneficial to students remaining seated for extended periods of time. 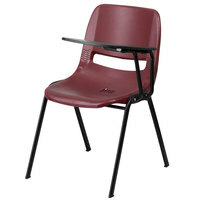 They’re stackable, too, for space-efficient storage in classrooms or supply closets. 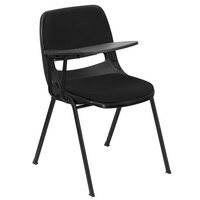 These chairs also give you the option to use them on their own for concerts or with desks, and when you want to add the compatible tablet, it quickly transforms into a chair with a desk arm! 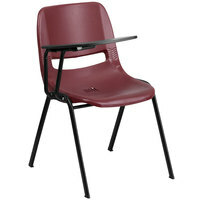 Also make sure to check out other great items from Flash Furniture and National Public Seating. 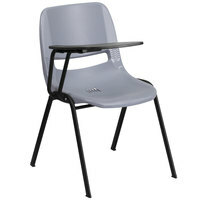 Outfit your classroom with a student desk chair for each student or individual in the class. Durably constructed from reliable materials, you can expect years of continuous use. 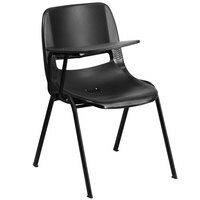 Chairs also have non-marring guides on the feet to protect floors from scratches and streaks. Be sure to also check out our selection of music stands and stand dollies to complete your music room setup. 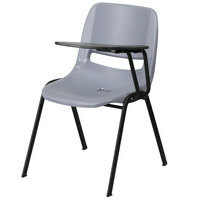 Our presentation write on boards and chalkboards and lecterns are also great school furniture pieces to consider! 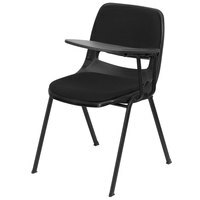 If you're wondering where to buy flash furniture student desk chairs and tablet arms, we have a large selection of flash furniture student desk chairs and tablet arms for sale at the lowest prices.